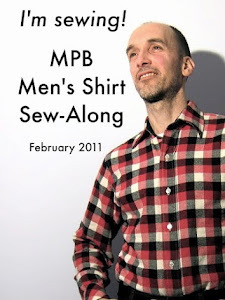 male pattern boldness: BREAKING: MPB Reader Donates Grandmother's Stash to Peter! Naturally, I did what any of you would have done: I said, yes, YES, YES! 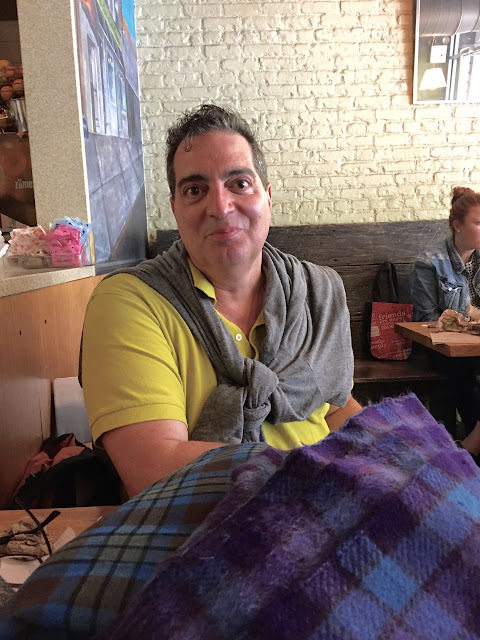 Today Jay, who, like me, hails from the beautiful Bronx, lugged a heavy box of fabric downtown on the subway, God bless him and, with the aid of a rolling cart and bungee cord, delivered it all to me at a nearby bagel cafe. 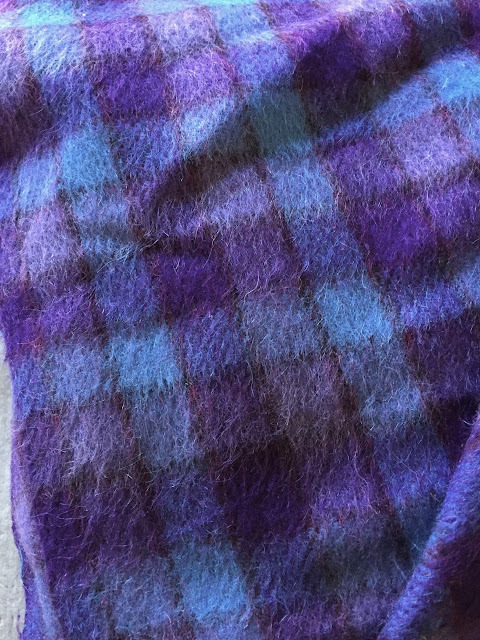 First, this gorgeous wool mohair blend in a vivid blue and purple plaid. 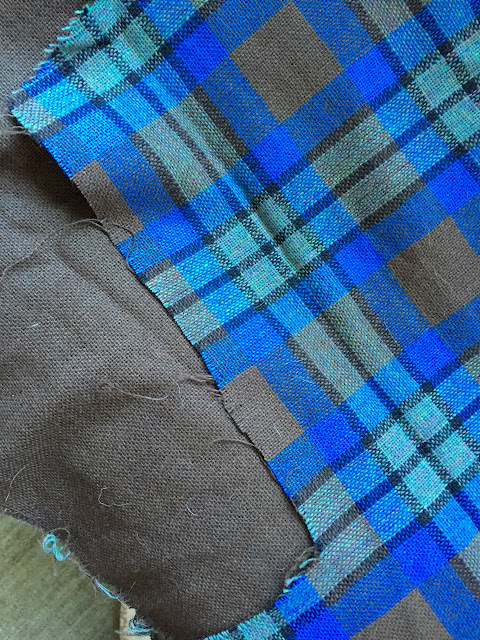 Next, this double-faced electric blue and brown wool plaid (Who wears it best?). My mother liked this dark pink and black plaid. 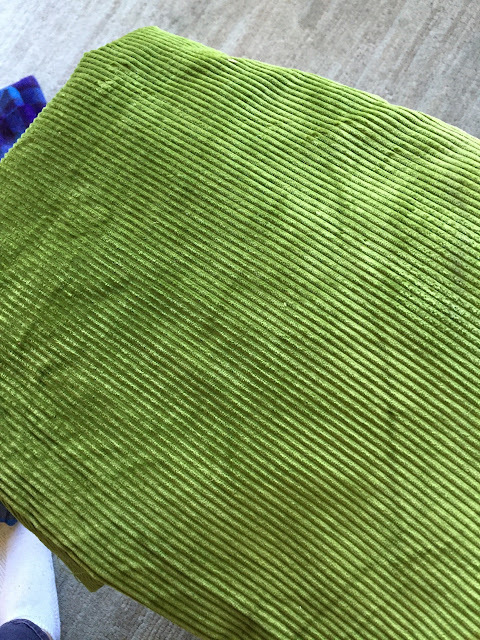 How about this acid green vintage cotton corduroy? Groovy! 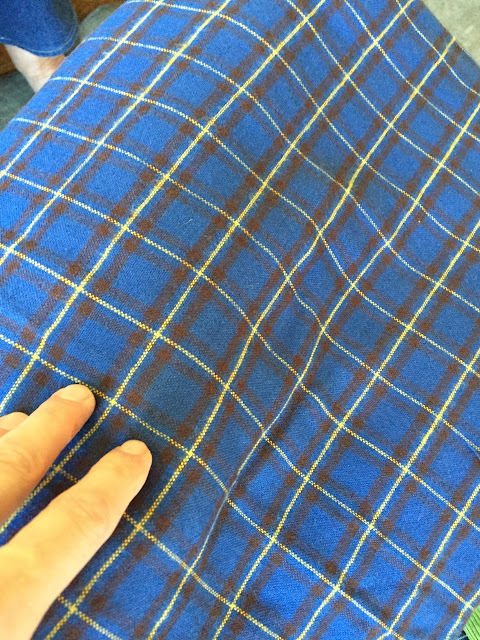 And this vivid blue plaid? 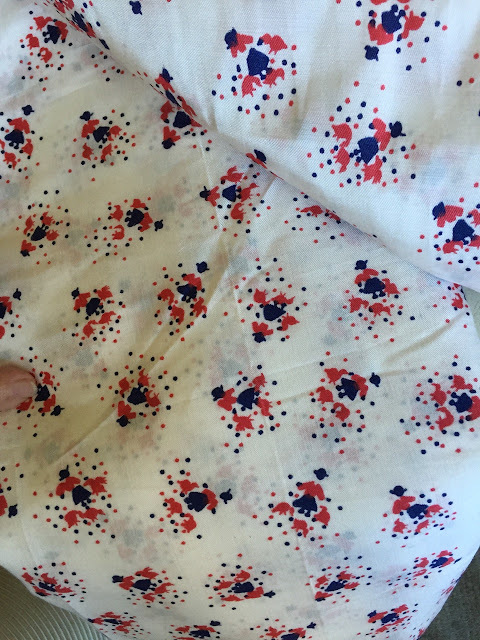 This vintage poly print will make a perfect lining for a future coat project. I think I have enough wool fabric now to last me at least until the end of the decade. A huge thank-you to generous Jay for reaching out to me. I hope I can do these fabrics justice. Wow, what a score!! Totally drooling over that green corduory! 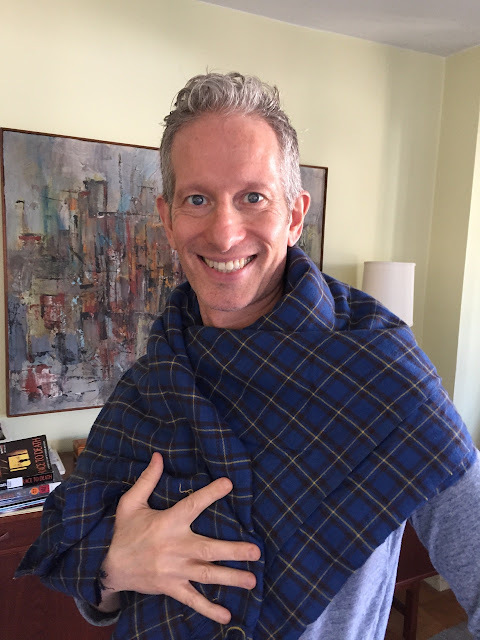 The plaids! It's all fantastic! Michael looks amazing in the blue and purple mohair, I'd start with that just to be able to look into his eyes when he wears it. There ain't no hair like mohair. Only thing I miss about knitting. And such beautiful colors! I do love it when an oversupply and a willing recipient get together! 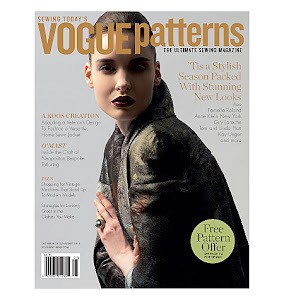 That mohair plaid is incredible! 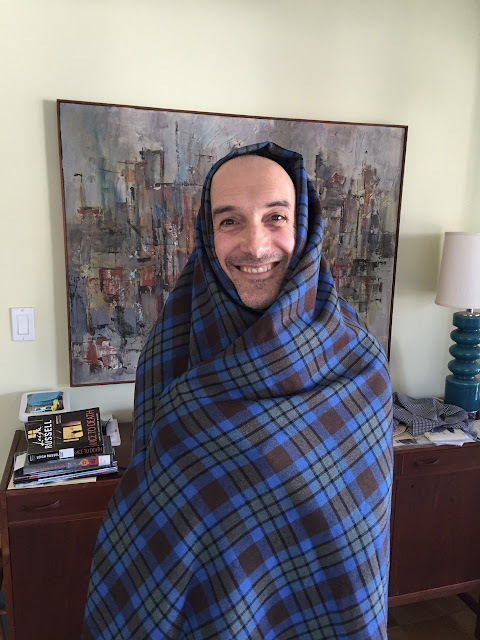 I see it as an awesome blanket coat (maybe for your cousin)! I can't wait to see what becomes of all of it. 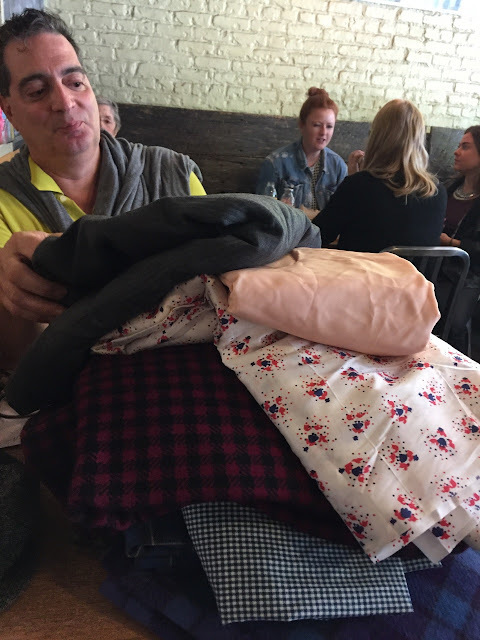 What a great collection of fabric and how generous! Were they marked as to content? Or how do you determine? 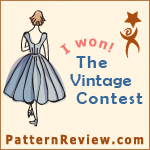 I am often stumped by vintage fabric. Sometimes I just hand wash to size it and see what it will do. What's your method? Dry clean? Pre wash? Can't wait to see what you make! Wow are you lucky!! How generous of Jay! All that fabric, stored for so long, and looking like it's all in good shape. After all those years one could expect moth damage or mildew, but it all looks like it was stored correctly. Lucky, lucky you. Jealous here. I'm as green as the corduroy, I tell you! Wow! My kingdom for that acid-green corduroy...I'd learn to make pants just for that! That's fabulous! 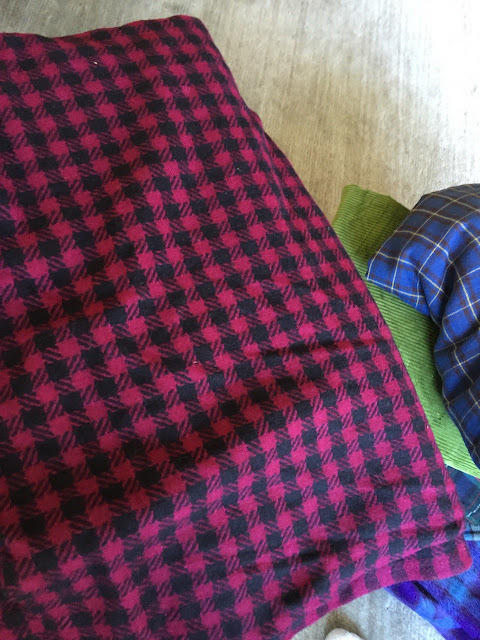 What a great batch of beautiful fabrics especially those gorgeous plaids. And a super generous gift -- I'm sure Jay's grandma would be pleased to see it being used by a passionate sewer! Lucky you Peter! Those are some gorgeous fabrics! Wow impressive and I'm so happy for the right person to get this. That is so generous! What a great gift; Jay's grandmother had incredible taste. I've never seen corduroy in that exact color and it's fantastic. Would def make a pair of pants with the green cord! What a wonderful person to bestow a vintage stash like that! Congrats on the haul! 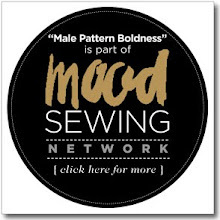 I'm sure some amazing new garments will come out of your sewing machine! I die for that Purple plaid. Can I buy a bit to make a mini skirt? The blue and purple plaid and the vivid blue plaid look really nice on Michael. All of the fabrics are just wonderful. Jay knew the right man to call. 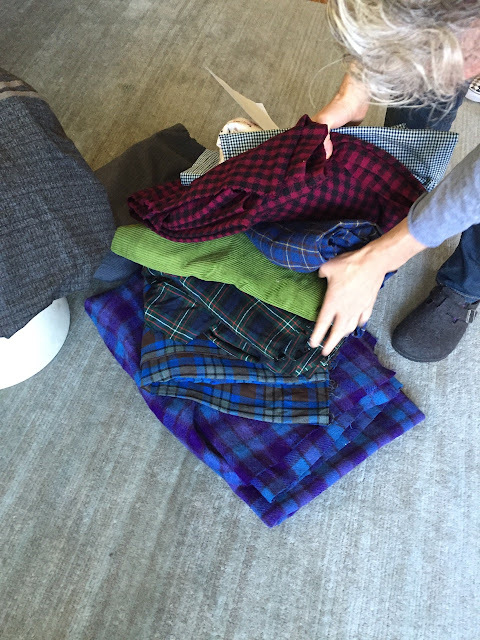 I think a Chanel style jacket would look nice in the pink and black plaid for your mom, but so many possibilities for those beautiful fabrics! Can't wait to see what you do with them! Right on point! A Chanel jacket in that fabric with black trim would be awesome on her! I think that nubby textured tweed would look good as a classic Chanel suit for your mom and Cathy. On second thought, the grey/blue tones in the tweed would probably look better on Cathy. Your mom would look better in warmer tones. I know his Grandmother would be pleased that her stash is in such good hands. Can't wait to see what it becomes. Congrats on receiving such beautiful fabrics. 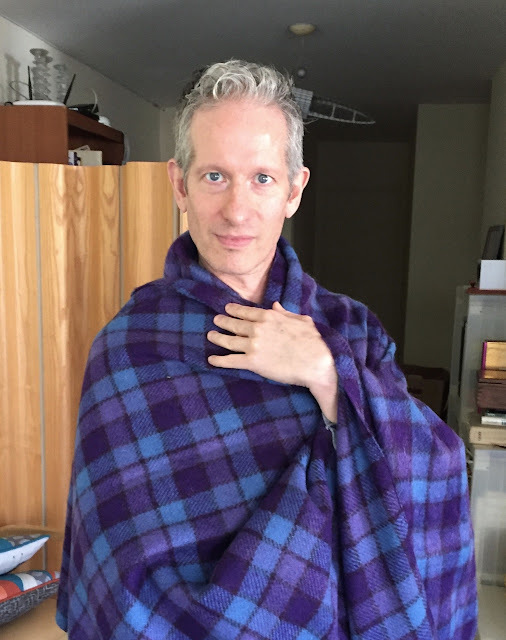 Love that purple and blue plaid. You did indeed post, and while you didn't have to single me out of the crowd (he blushes), it's always fun to rate a mention. I saw a center seam in your muslin, and hope you are doing the same with your actual hoodie (balance that bias). Glad you have enough fabric to cut it on the bias. You might consider small darts near the pits to eat up any extraneous fabric, and contour about your pecs and delts. This whole posting again within the same season has this reader quite excited/delighted. Can't wait to see the finished product. The detail on the hood is window-shopper's reflection good. It's blustery-walk-through-leaves-in-a-park-and-heads-swivel good. It's the-clerk-in-a-coffee-shop-reaches-over-the-counter-to-feel-it good. Enjoyed the post, and encourage Ellie and everyone else to visit "Halston and I". I knew you were right on top of the game! LOL! 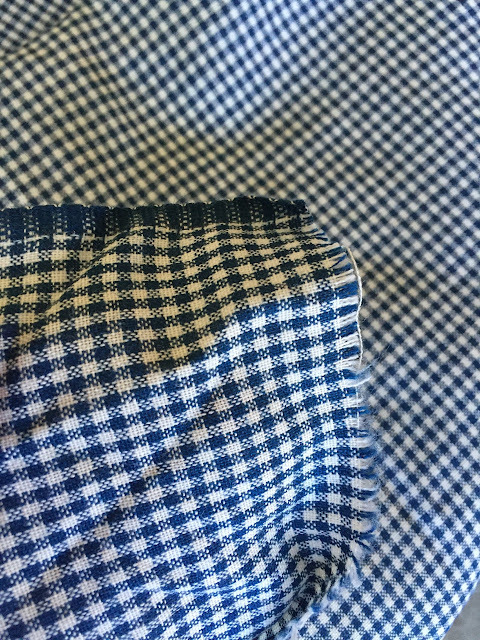 That's not a center seam but a grainline marking there are only two side seams. 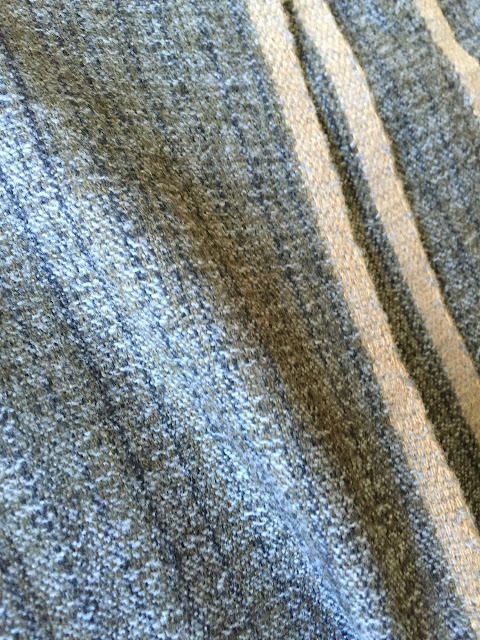 I didn't want a tighter fit, it will drape softly. I discovered that when you use the bias it finds and accents your contours naturally even with a looser fit. I'm going to do a bias posting after this project. 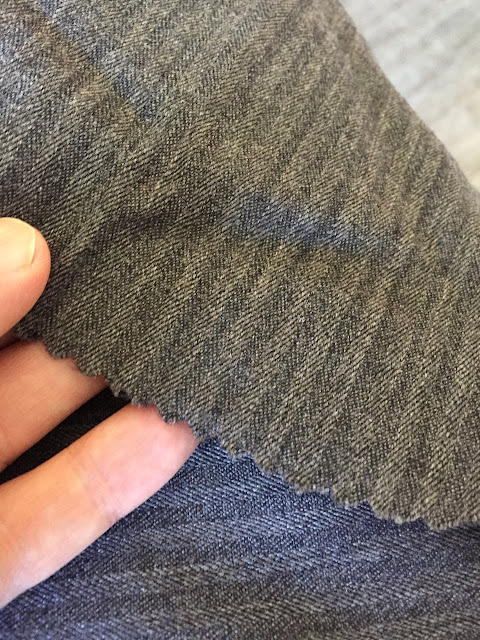 I get the soft drape, but understand, with bias, you will get a gentle torque or twist in the front (which may work for this garment), unless you cut a right and left front, each at an opposing 45 degree angle, meaning one is cut northeast/southwest, and the other is cut northwest/southeast. If the fiber was a balanced weave, as many warp as weft threads, you wouldn't have any issues, but that is uber rare to find such a weave. 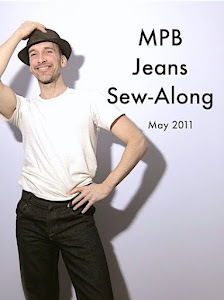 I like the "as few seams as possible" route, and that casual looser fit can be pitch perfect. Too bad Cathy Lane doesn't live nearby, she would be an ideal model for this hoodie. I would like to add my vote in saying that acid green corduroy is the bomb! I know that many of your readers will be out looking for some over the weekend! I can still picture a 70's Vogue photo of Lauren Hutton wearing an ultrasuede Halston shirt/tunic of that same color over a navy cashmere turtleneck and pants looking amazing!! 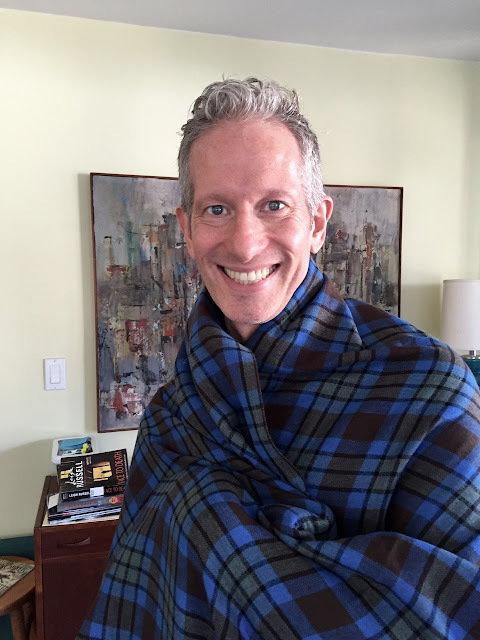 I covet those wool plaids. You are so lucky to have them to work on. Enjoy! and write about it! 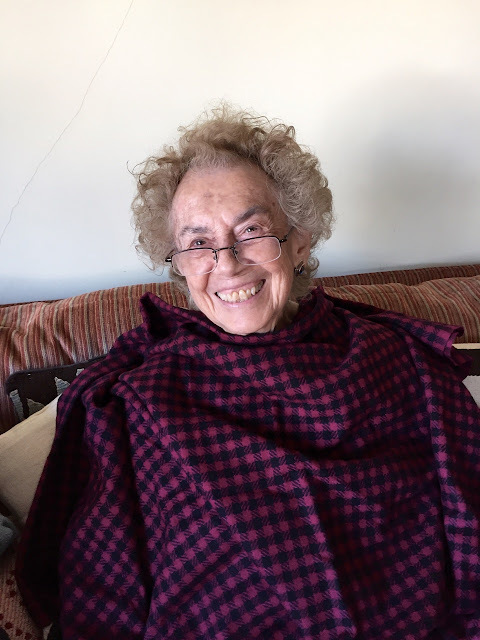 Your mum looks great in the raspberry and black plaid! I agree with Mouse; Jay's grandmother had incredible taste. It's amazing to me how each piece is timeless. 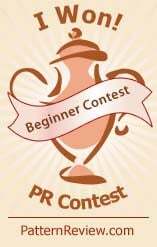 I'm looking forward to reading about your creations. Your creations will be such a lovely way to honor the memory of Jay's grandmother -- a lady with excellent taste. 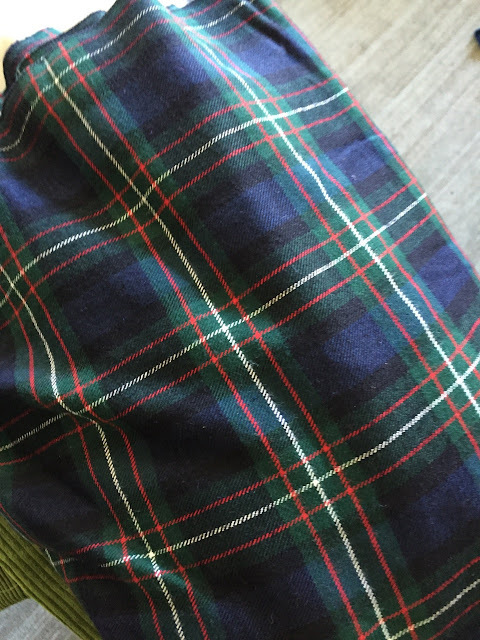 All of those tartans are screaming KILT! Commenter in the Highlands here, and I say you both would look great in a modified kilt (a true kilt would likely take more fabric than you have, unless you're willing to push the boat out and use more than one fabric in your kilt).